“The third worrying trend seen in the election was the rise of the AfD. The party’s 13 percent of the vote may seem relatively meager in comparison to what National Front received in France or Donald Trump’s victory in the United States. However, in Germany — with its history of right-wing extremism under Adolf Hitler, and its postwar repudiation of the Nazi era — this is a seismic shock. A far-right party will be represented in the German Parliament for the first time in 50 years (it is already represented in 13 state governments). The consensus throughout the German election campaign was that this vote was boring — in the best possible way. In a Europe roiled by a high unemployment rate, stagnating growth and unpredictable politics, Germany was viewed as a bastion of stability. Is Any Part Of The Russia Election Hacking Story True? Did Russia fake black activism on Facebook to sow division in the US? Trump Said His Administration Runs Like A ‘Fine-Tuned Machine.’ The Track Record Suggests Otherwise. Disgraced former U.S. congressman Anthony Weiner, whose exchange of illicit messages with a teenager wound up playing a role in the 2016 presidential election, was sentenced Monday to 21 months in prison, authorities said. washingtonpost.com/national. Tefvik Arif was the chairman of Bayrock Group, the murky company that partnered with Donald Trump to build Trump SoHo in lower Manhattan. Figuring out who he is was not an easy task. Tevfik Arif (Тевфик Ариф) was born Toifik Arifov (Тофик Арифов) on May 15, 1953 in the Soviet Socialist Republic of Kazakhstan. He was one of four brothers born to a Turkish family in the Jambyl Region in northern Kazakhstan. That’s about the only thing we know about his early life with any certainty. What he did for the next 38 years is unclear. 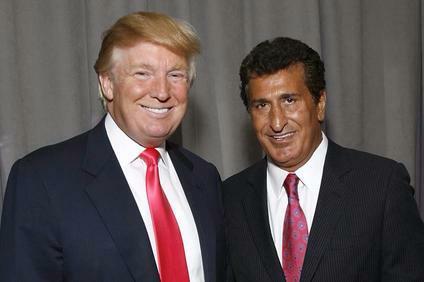 The oft-repeated facts of his background come from a short profile on Arif published in Real Estate Weekly in 2007, just as Trump was preparing to kick off sales of Trump SoHo. Real Estate Weekly reported that Arif had received a degree from Moscow Institute of Trade and Economics and then worked in the Soviet Ministry of Commerce and Trade in the former Soviet Union for 17 years, where he served as the chief economist and deputy director of the Ministry’s Department of Hotel Management. Many journalists have repeated this story. It may be true, but no one seems to have bothered to check. 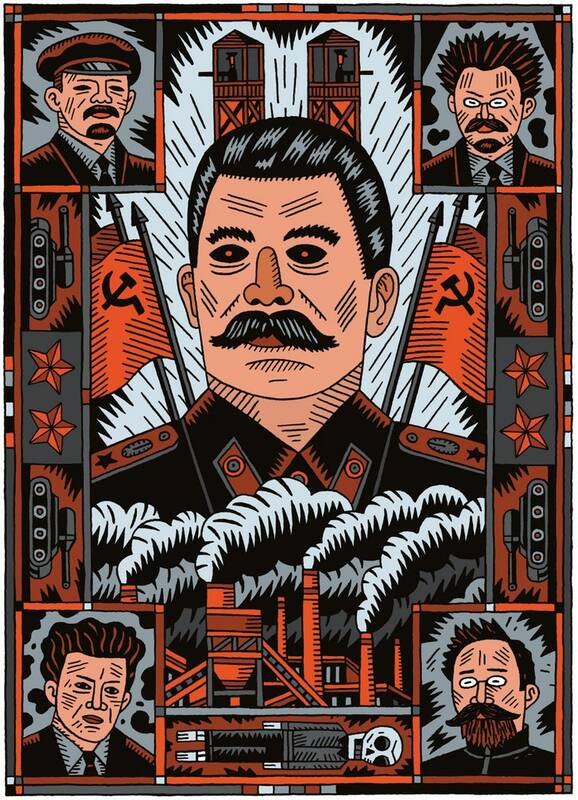 It’s worth noting that this is the only reference to a Soviet Ministry of Commerce and Trade that I found on the Internet. There is a Russian ministry that has this name, but I could find nothing from the Soviet era. There was, however, something called the USSR Chamber of Commerce and Industry, which was run by the KGB and spied on the West. A third of the chamber’s staff were KGB, according to a US State Department report that cited CIA information. And the USS Chamber of Commerce and Industry did have a hotel division, V/0 Sovintsentr, which ran a trade center and various Moscow hotels. After the collapse of the Soviet Union in 1991, Arif left the government and made a career leap. A huge leap. And then he went to work for Trans World Group. TWG was a British company headed by two brothers, David and Simon Reuben. After the Soviet Union collapsed, the Reubens moved aggressively into metals production, buying up smelters and refineries. As foreigners, however, the Reubens needed locals to build their business. Enter Arif. 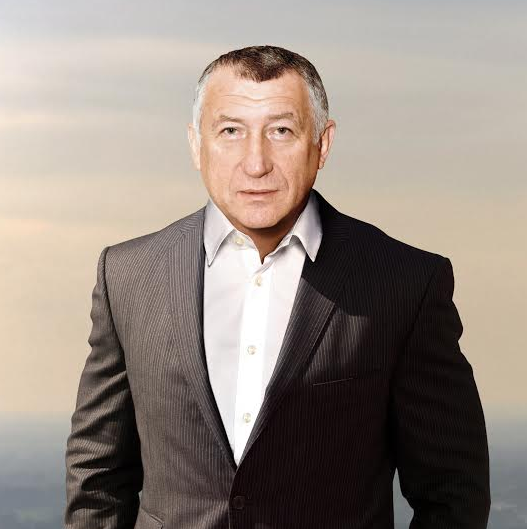 He became an “agent on the ground” — a fixer, in other words — for TWG in Kazakhstan, according to internal company documents reviewed by theblacksea.eu, an online investigative Website. Arif apparently did his job well. Very well. In a few years, TWG’s holdings of steel, iron, chrome and alumina refineries in Kazakhstan generated one fifth of the entire country’s gross revenues. Maybe Arif was just a Soviet hotel bureaucrat who seized a once-in-a-lifetime opportunity to get into the post-Soviet metals sector. But his hotel background would have been of little use to TWG. What TWG needed was someone with deep connections in the country’s political and business circles. The kind of people who had those connections in the Russia of the 1990s were either ex-KGB, or mobsters. Consider another pair of fixers the Reubens brought into TWG in 1992. They were the Cherney brothers, Lev and Michael, and they formed a 50-50 partnership with TWG. It was a successful partnership. With the Cherneys help, TWG grew by leaps and bounds. The problem for the Reubens was that Michael Cherney’s name soon became publicly linked to Russian organized crime groups. The Reubens quickly bought out Cherney’s share of TWG for $410 million. 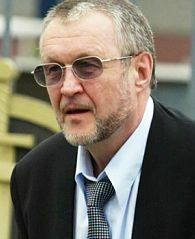 Swiss authorities in 1996 accused Michael Cherney of “drug trafficking, money laundering, fraud and sponsoring murder” on behalf of a Russian organized crime group run by “V Ivankov.” This was the infamous Russian mob boss nicknamed “Yaponchik” who had settled in New York, where the FBI found him hiding out in Trump Tower and Trump’s New Jersey casino. Michael Cherney has repeatedly denied these allegations, which he blames on his archenemy and former partner Oleg Deripaska, one of the wealthiest men in Russia. In 2008, the federal Swiss court exonerated him of the charges, but two years later, Spain issued an international arrest warrant for Michael Cherney’s arrest on money laundering charges. Did Arif have links to the Russian Mafia? Felix Sater, who worked under Arif at Bayrock, seems to think so. In the mid-90s, Refik reportedly acquired control of the Aktyubinsk Chromium Chemicals Plant (ACCP) in Aktobe, in north-western Kazakhstan, near the border with Russia. How he managed this is unclear. He also established a highly profitable chemicals trading business. And this is an important piece of the story, because the money for Bayrock, at least part of it, came through Kazakhstan. In a 2011 memo, Hamels partner Zig Williamowski wrote, “Mr. Refik Arif is one of four brothers who have over many years built up a substantial and profitable international business from the sale of chrome-based chemicals.” Williamowski said he was in a position to verify the “good origin” of the Arif family’s wealth. With the help of Hamels, the Arifs set up a network of shell companies, many of which were established in the Caribbean tax haven of the British Virgin Islands. These companies included Bennington Trade Assets Ltd., which owns property in the center of London and Merlin Trading Assets Ltd., which owns an executive jet. There are too many companies to name them all. Many are found in the Panama Papers leak of offshore companies founded by the Panamanian law firm Mossack Fonseca. So much money was pouring out of Kazakhstan that Tevfik Arif decided it was time to try something big. Really big. He moved to New York and set out to do a real estate deal with the biggest and the best. So he set up offices of his new company Bayrock Group in Trump Tower, one floor below Trump’s own offices. Should it be any wonder, either, that in the intramural fights the Donald Trumps and Roy Moores of the party are winning? As in economics, so too in G.O.P. politics: Gresham’s law applies. Bad money drives out good. Bad Republicans drive out good ones. Donald Trump’s cabinet is fully awash in scandal this weekend, with HHS Secretary Tom Price having already resigned due to inappropriately taxpayer-funded private charter flights, and four other cabinet members caught up in similar scandals which may cost them their jobs. Now another member of Trump’s cabinet has been busted for financial corruption: Elaine Chao, who just happens to be married to Senate Majority Leader Mitch McConnell. Chao already had a history of scandal before Donald Trump picked her to be his Secretary of Transportation, a move which many have derided as an attempt on Trump’s part at ensuring McConnell’s loyalty. Now it turns out Chao is once again embroiled in scandal. When she took the cabinet position, she decided to hang onto six figures worth of stock in a company called Vulcan Materials (link). She resigned from the company’s board, but that was a meaningless gesture, because she kept her hand in the till. Why does this matter? As the Secretary of Transportation, part of Elaine Chao’s job is to decide where U.S. taxpayer dollars go for infrastructure projects. She can steer taxpayer money right into the hands of Vulcan Materials, which in turn would serve to further enrich Chao herself. Her refusal to part ways with the stock, and to recuse herself from any decisions that might involve steering government business to the company, suggest corrupt intentions on her part. The bad news for Chao is that this financial corruption scandal is coming even as her fellow cabinet member just resigned in a financial corruption scandal. It also serves to further underline just how corrupt of a decision Donald Trump made when he appointed Elaine Chao to his cabinet. He’s since inappropriately asked Mitch McConnell to sabotage the investigation into his Russia scandal. It’s clear in hindsight that he hired Chao to try to gain leverage over McConnell. The post Trump cabinet member Elaine Chao, wife of Mitch McConnell, busted for financial corruption scandal appeared first on Palmer Report. WASHINGTON (AP) — A note found in the car of a man charged with spraying deadly gunfire at a Tennessee church made reference to revenge for a white supremacist’s massacre at a black church in Charleston, South Carolina, two years earlier, law enforcement officials told The Associated Press. The note could offer a glimpse into Emanuel Kidega Samson‘s mindset at the time of Sunday’s shooting and a possible motive for the rampage, which left a woman dead and six other people wounded. The Associated Press has not viewed the note, but it was summarized in an investigative report circulating among law enforcement. Two officials read parts of the note to the AP. The report said that “in sum and in no way verbatim,” the note referenced revenge or retaliation for Dylann Roof, the white supremacist who killed nine black worshippers at the South Carolina church in 2015 and has since been sentenced to death. It wasn’t clear what precisely Samson is alleged to have written about the Roof shooting, or whether his note contained other important details that might also speak to a motivation or state of mind. The law enforcement officials spoke on condition of anonymity because they were not allowed to publicly discuss an ongoing investigation. Metro Nashville Police declined to comment, saying it had not released the information. Samson has been charged with murder, and the FBI and U.S. attorney’s office in Nashville quickly opened a civil rights investigation into the shooting. His public defender did not immediately return calls for comment. And spokespeople for the FBI, the U.S. attorney’s office and District Attorney General Glenn Funk declined to comment on the ongoing investigation. Police have said Samson, masked and wearing a tactical vest, fatally shot a woman who was walking to her vehicle and then entered the rear of Burnette Chapel Church of Christ and shot six other people, walking silently down the aisles with a .40-caliber handgun. The case immediately called to mind the killings at Emanuel AME Church, in Charleston, South Carolina. But unlike that church, which is mostly black, Burnette Chapel in the Nashville neighborhood of Antioch has a diverse congregation with people of various ethnicities, a detail noted in the report. And church members told investigators that Samson had attended services a year or two ago. All of the victims in Nashville were white, but it is not clear whether Samson specifically targeted them based on their race. Samson, who is black, came to the United States from Sudan as a child in 1996 and is a U.S. citizen. His past was recently troubled. Metro Nashville Police say investigators recovered four guns after the shooting that were bought legally from in-state retailers: the 40-caliber handgun allegedly used in the shooting; a military-style AR-15 rifle found in a case in Samson’s vehicle; and a 9 mm handgun recovered from the church. Police say a relative gave the guns to Samson for safe keeping. Police say Samson bought a .22-caliber pistol found in his SUV. A day after the eight-man team beached on the coast, one of Khatallah’s associates unwittingly led Khatallah to the safe house. As soon as Khatallah stepped into the dark villa, several soldiers pounced on him. He tried to kick, punch, and bite his way free, without success. The F.B.I. agent present—who has been identified in court by only a surname, “Johnson”—brought Khatallah into a bathroom, where he covered the suspect’s eyes, plugged his ears, and stuffed a bit into his mouth. The team then hustled Khatallah across the beach, boarded its boats, and raced toward the U.S.S. New York, a twenty-five-ton amphibious ship made, in part, with steel recovered from the World Trade Center towers, and waiting offshore. 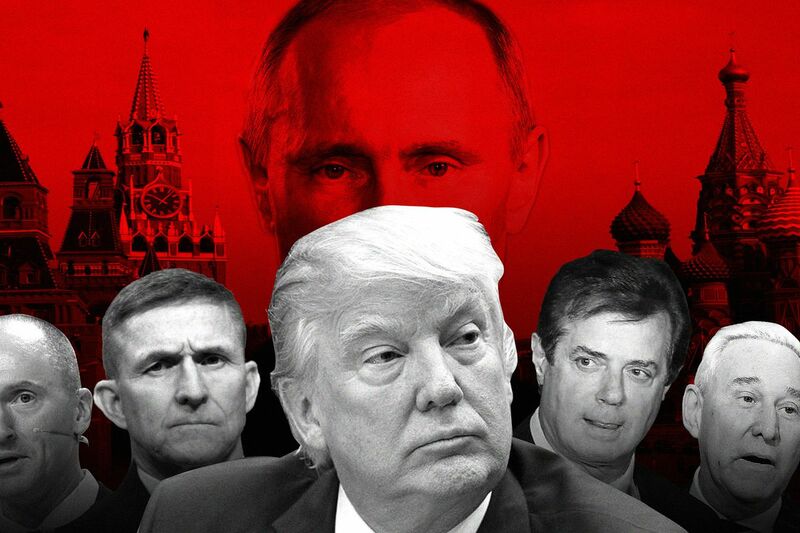 Capitol Hill’s leading investigation into Russian election meddling in the 2016 election will gather next week to provide a public update on their inquiry, in addition to issuing a warning that foreign entities continue to pose a major threat to America’s political system. On Wednesday, Oct. 4, the Senate Intelligence Committee will hold a press conference featuring committee chairman Sen. Richard Burr, a North Carolina Republican, and vice chairman, Sen. Mark Warner, a Virginia Democrat, according to a statement by the committee. While the probe has held multiple impromptu media availabilities after congressional hearings, next week’s update will be only its second official press conference, according to the committee. 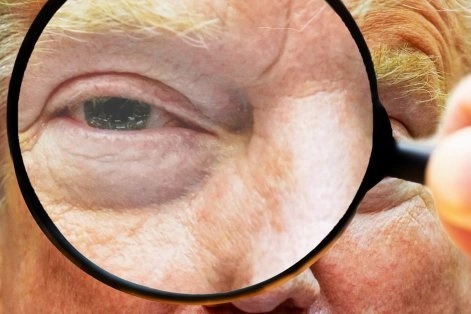 The probe has thus far conducted more than 100 interviews spanning the Russia election meddling spectrum — from grilling fired FBI Director James Comey over his handling of the investigation into Hillary Clinton’s emails to possible collusion between the Trump campaign and Kremlin to the Department of Homeland Security’s inability to reveal which states Russian hackers targeted during the 2016 polls. Recent weeks have seen its members increase their scrutiny of social media companies Facebook and Twitter, as evidence continues to surface that Russian operatives appeared to manipulate the digital platforms to spread propaganda during the campaign. Earlier this month Facebook disclosed that roughly 3,000 ads were purchased by entities with apparent connections to the Kremlin.